Economic opportunities have come a long way since the typical 9 to 5 that our parents enjoyed. Today, individuals are looking for a more dynamic work environment that is flexible and that enables them to better shape their own lives. Companies such as Uber, Lyft and Airbnb have all harnessed the power of the independent workforce, a vibrant and innovative population that we have known quite well for more than 35 years. A survey from the McKinsey Global Institute (MGI) sheds light on the independent workforce and helps address who is joining this growing industry and explains their reasons for participating. Those under 25 and those over 65 have the highest rates of participation in independent work, but there’s strong participation across other age groups as well. 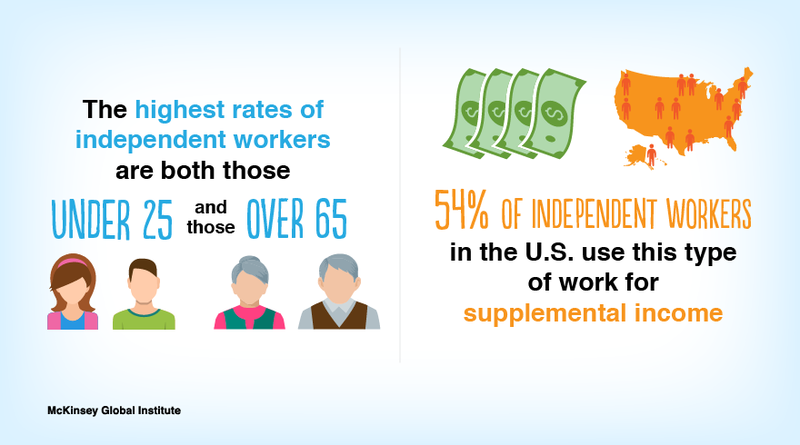 54 percent of independent workers in the U.S. use this type of work for supplemental income. Not only do the majority of independent workers included in MGI’s research enter the workforce out of preference rather than necessity, but they also report being highly satisfied with their work lives. They have a genuine interest in their work, are more motivated by their profession and prefer the chance to be their own boss. Moreover, the report found that level of empowerment and flexibility ranked among the top reasons for choosing independent work as a source of income. As independent work becomes an increasingly meaningful part of the global economy, there is significant room for growth across all countries included in MGI’s research. According to MGI, government data reveals 232 million adults in the U.S. and the EU15 are inactive, unemployed, or work less than full time—and at least 100 million of them would like to start working or increase their hours. While the fact that people assemble various income streams is hardly new, these findings are indicative of how economic opportunities are being redefined and why the function of the traditional labor market is shifting. 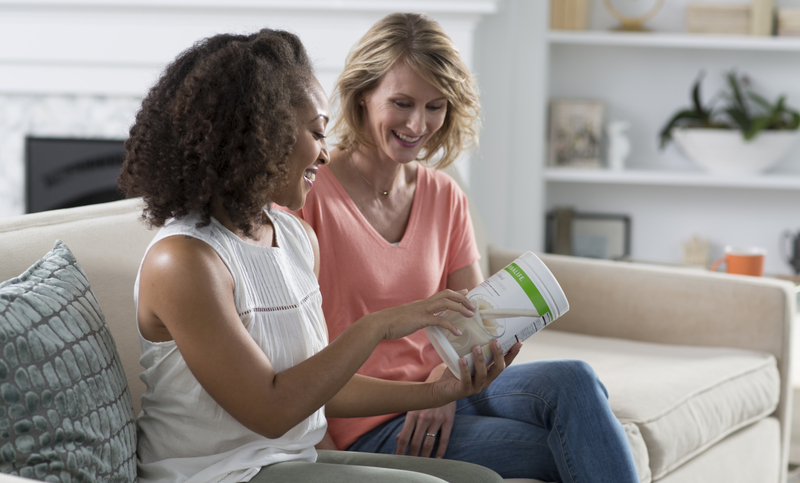 We are proud that for more than 35 years, Herbalife Nutrition has provided people with the opportunity to pursue supplemental or full-time income by selling our wide-ranging portfolio of quality nutrition products. We are also gratified to see that other companies are learning what many of our independent distributors have already discovered; being your own boss and working on your own terms leads to greater engagement, productivity and fulfillment.